Paul McCartney: "Say no, thanks to turkey"
It’s no longer a secret that Paul McCartney is a vegetarian and an image for PETA. 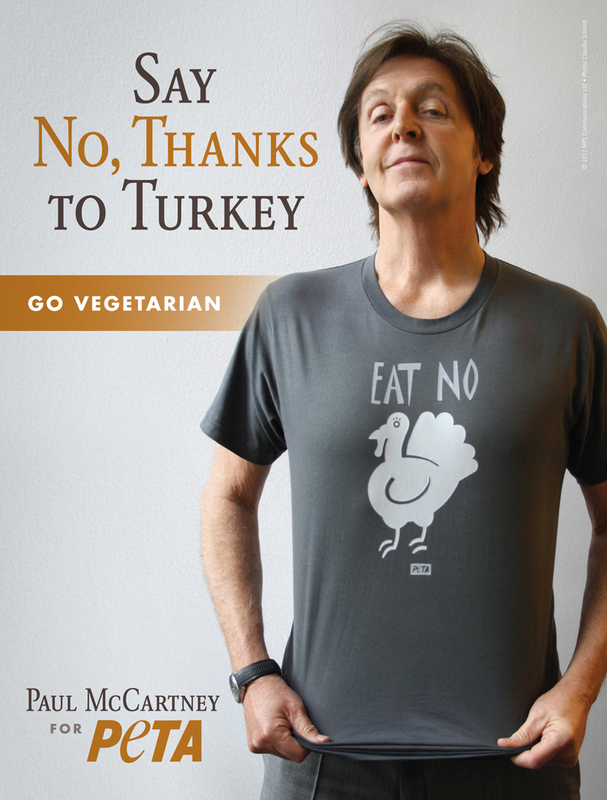 Wearing a shirt with “eat no turkey”, McCartney promotes cruelty-free holiday meal. 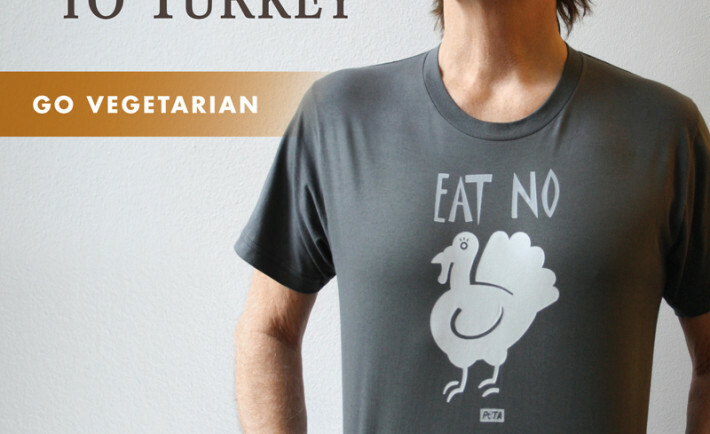 PETA informs us that yearly in this period of time, 45 million turkeys are killed at Thanksgiving and almost 22 million die at Christmas. We eat a veggie roast at home, so if we have traditional moments like Christmas … the roast is perfect. It’s completely vegetarian, but I can slice it, so I can do all my traditional dad things. We can do our family stuff with it, and it’s delicious, so I much prefer that to my memory of turkey. 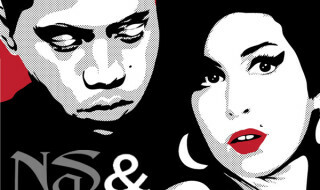 You can find more informations about the PETA campaign here, and if you want a t-shirt just like Paul McCartney’s, you can order it from PETA’s official shop.